Reptiles may come to recognize you and acclimate to your care, but they will never bond with you like a mammal would. However, it isn’t just because they are cold blooded. It has more to do with what is in their brain from birth than the temperature of their blood. 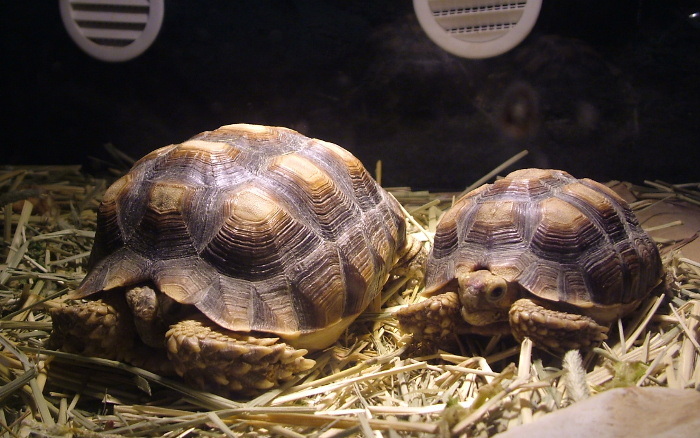 Before you take on turtle or tortoise care, it's best to research both animals since there are very distinct differences between these two types of reptiles. Reptiles Magazine is probably one of the best places to start learning about turtles and tortoises. 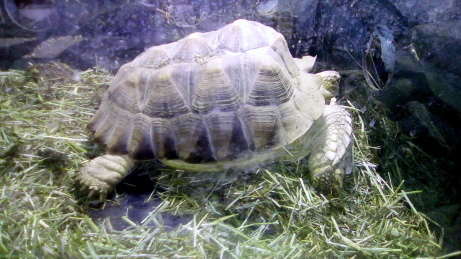 As a rule, tortoises are land-dwelling, while turtles are marine. 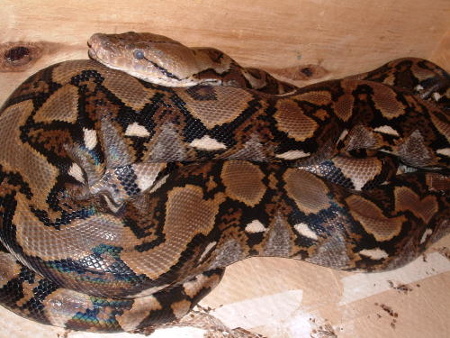 Frozen thawed prey should be the basic food in your captive snake's diet. Feeding frozen thawed keeps your snake from being attacked by live prey. Additionally, it is much easier to get an animal to transition for an occasional live prey feeding from frozen-thawed than it is the other way around. However, animals fed only frozen thawed might not see live prey as food. They may even become afraid of it. Ball Python: A Snake You Can Warm Up To. Snakes are not slimy as many people believe. They are cool, dry, and very smooth to the touch. They,who keep snakes, say it's very calming to handle them. 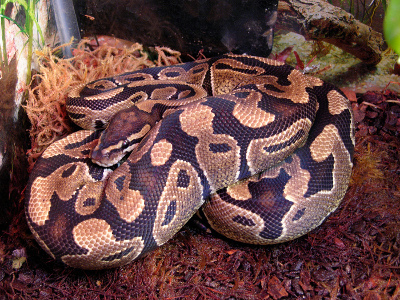 The ball python is a good starter reptile for the beginning snake keeper and a favorite even among advanced snake breeders. 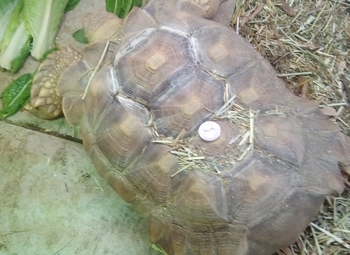 All tortoises are turtles but not all turtles are tortoises. Although both belong to the order Testudines or Chelonia (reptiles whose bodies are attached to a shell), turtles are very different than the land-loving animal we call a tortoise. 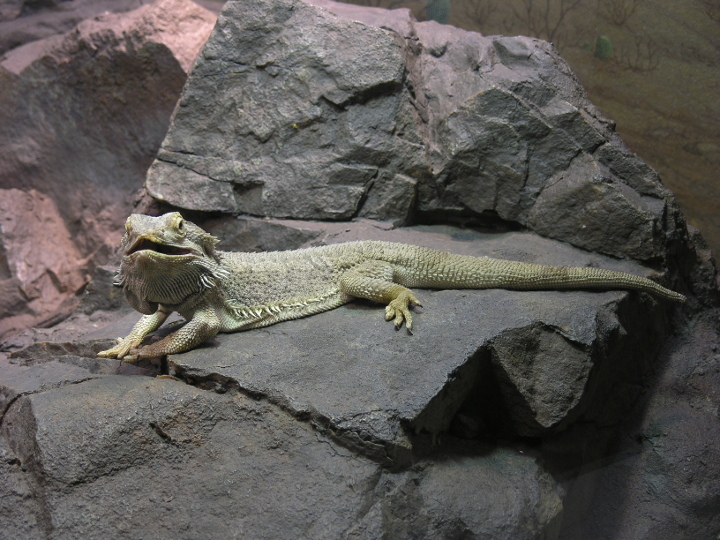 The perfect exotic pet, the Bearded Dragon is a good starter lizard for either beginner or advanced reptile keepers. Beardies are friendly and funny. They are more gregarious than some other species and unlike the green iguana, which can get quite large, they are a medium sized lizard, seldom growing to over 20 inches long, nose to tail tip.